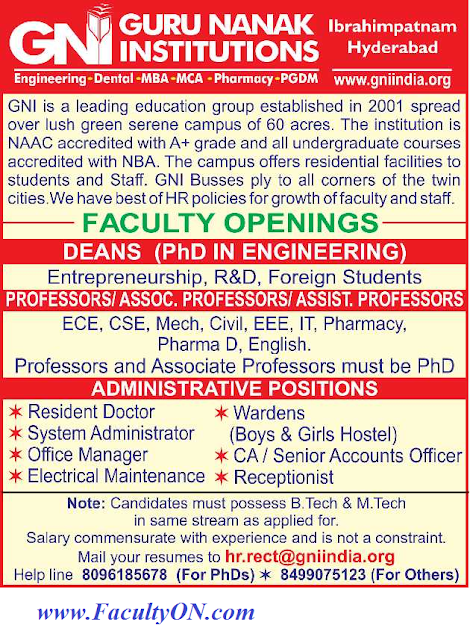 Guru Nanak Institutions, Hyderabad has advertised in THE HINDU Opportunities newspaper for the recruitment of Professor / Associate Professor / Assistant Professor / Dean Plus Non-Faculty jobs vacancies. Interested and eligible job aspirants are requested to apply as soon as possible from 15th November 2017. Check out further more details below. About College : Guru Nanak Institutions started its journey in the year 2001 with its first engineering college, Guru Nanak Engineering College, which was then developed into a Technical Campus. Guru Nanak Institutions has now over 10,000 national and international students. 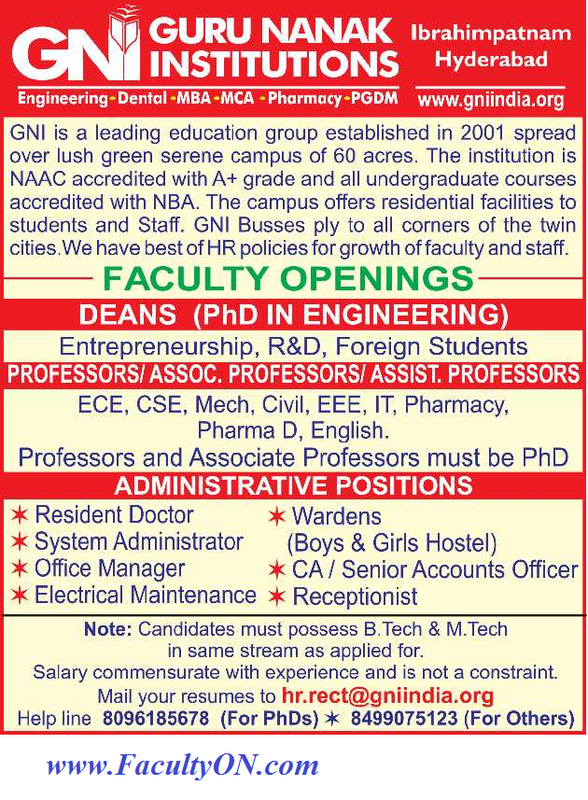 Guru Nanak Institutions is permanent affiliated with JNTU and approved by AICTE. Accredited by NBA and NAAC Guru Nanak Institutions is ISO certified. How to Apply: Interested and eligible candidates are requested to send applications with CV, copies of credentials and recent PP size photograph to the college email address.